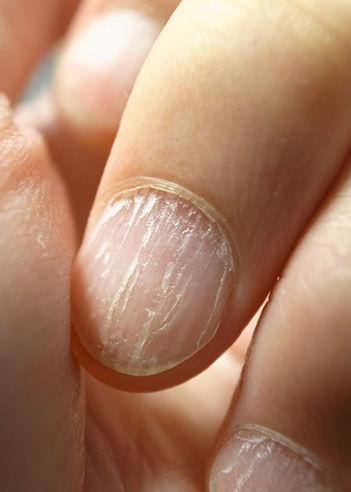 Nail abnormalities can occasionally be a sign of a multisystem disease. Changes can be seen as white bands, color variances (red, blue, yellow, purple, brown and black), texture alterations and tumors. During the physical examination these troubles on the nails will be scrutinized.